Now on its fifth season, this TV series continues to delight. 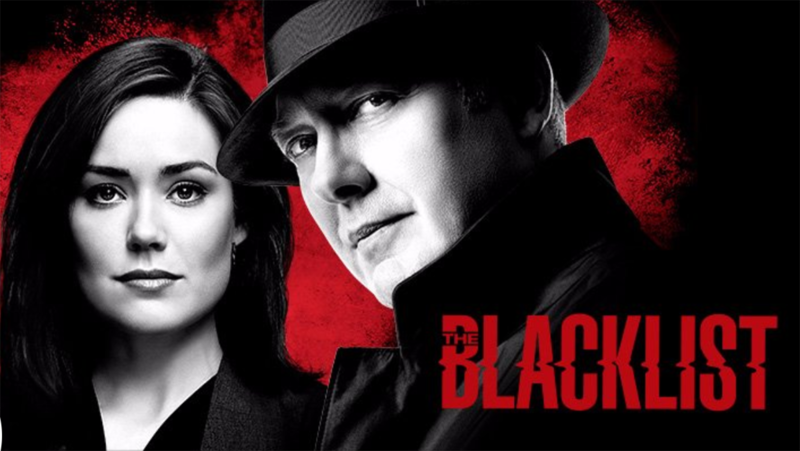 The seventh episode of the season, “The Kilgannon Corporation”, exemplifies why The Blacklist continues to hook me. The blacklisted criminals (No. 48) taken down in this episode was a people–smuggling operation based in Sofia, Bulgaria. Very topical given the on–going refugee crisis in the European Union (EU) where: (1) an estimated 1.2 million claimed asylum into the EU in 2016; (2) an estimated 5,000 of migrants died in Mediterranean sea crossings in 2016; and (3) 51 percent of the refugee population are under the age of eighteen (Council on Foreign Relations, 2017). Closer to home, Australia has been excoriated by the UN human rights committee for its treatment of refugees & asylum seekers under its mandatory detention regime centres in Manus Island and Nauru (Doherty 2017). Trafficking implies the passengers are being moved against their will. These people paid for the privilege. All over the world criminals are smuggling people into countries that they can't enter legally. Some looking for a better life others are escaping war, persecution. For a price people like me can help them. Astute observations like these from Reddington are one of the qualities that endear the series to me. Red was in the people smuggling business— providing quality service at a fair price — but Mr Kaplan put an end to this together with Red's other business interests (as it played out in the previous season). A ruthless and unscrupulous player filled the vacuum left by Red's absence in this market. The ship the migrants were packed into like sardines was a death trap. It was not fit for the journey. That's why it sank two miles off the South Carolina coast. To Red, the unscrupulous operator has to be stopped or more innocent people would die. The FBI's Reddington Task Force behaving like a microcosm of society had differing reactions after finding out that Red had a people smuggling business and about helping him take out the competing operator which could resurrect Red's business. Donald Ressler (being the righteous guy that he always tries to be) sounded incredulous. Liz defended her father: In his mind he was giving people hope . Aram Mojtabai (given his idealism) agreed: Some are only alive because he got them away from what they were running from . Samar Navabi (given the brutal realities she experienced working with the Israeli Mossad) countered with: Don't assume that all those people were good people. Most, perhaps. But border control is essential . Keen finally prevailed with a reality check: Whatever you believe about the business, bottom line: people are dying and that needs to stop . The character highlight of the episode was on Dembe Zuma. I thoroughly enjoyed the repartee when Aram was explaining to Dembe how the communications device he was implanting into Dembe's molar worked. Aram: We'll stay in touch via this device I can embed in your rear molar. It works like a microphone, allows me to pick-up your voice . Dembe: And I can hear you because the same transmitter allows the sound of your voice to travel up the jaw bone and into my inner ear . Aram: Yeah, that's right. How'd you know that ? Dembe: Khan Academy. I took their course in electrical engineering . Aram: Don't you also speak like five languages ? Aram: You know other than the fact that you sometimes have to kill people for a living, you're like my role model . What takes the cake in this episode is the showcasing of how deep the bond between Dembe and Red goes. 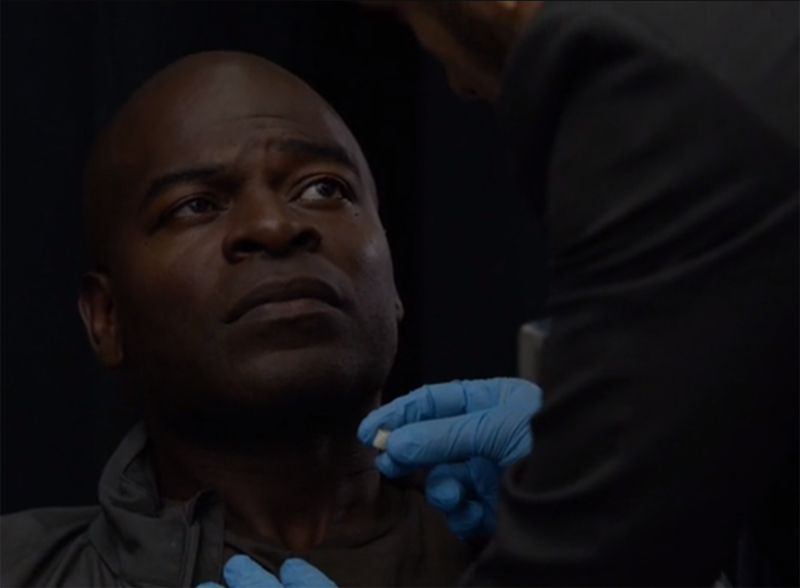 When Red tried to stop Dembe from putting himself into further risk for the case, Dembe said: I know what it feels like to be seen as less than human: a thing transported for money. You saved me from that which is why I know you'll want me to try and save others . When Dembe wanted to talk about if something goes wrong, Red said he will look after Dembe's family. Dembe said: I know you will. But my concern is who will look after you ? The love between these two friends: a crime boss and his bodyguard runs deep. The way Dembe bonded with the other migrants particularly with the little girl was just beautiful to watch. When the going got tough, Red's description to Liz of his relationship with Dembe was so super dope. Red: Do you ever wonder why Dembe stays with me? Why anyone so decent would spend his days at the side of someone so indecent? Red: No Elizabeth. Dembe didn't stay with me because he saw me as a saviour. He stayed with me because he saw me for the man I really was. A man surrounded by darkness. No friends that could be trusted. No faith that loyalty and love could ever truly exist. I was… Well, I was younger then. Angrier. Dembe connected his life with mine to show me that day and everyday that the world is not what I fear it to be. He is the light in the darkness. Living proof that there is another way. That life can be, good. That people can be kind. That a man like me might one day dream of becoming a man like him. He pledged his life, offered it up as evidence that I was wrong about this world. Dembe guards my life because he's determined to save my soul . Ressler's realisation at the conclusion of the case was gold. Talking to Harold Cooper: Sir, look I have to say… I knew this was happening. I knew people were risking their lives by the hundreds of thousands. But… I mean… knowing it and seeing it. Cooper: It's different. This exchange could have inspired Cooper to adopt a more liberal interpretation of the law so that the migrants they saved from the Kilgannons would not be handed over to the Macedonian authority only to be detained. Red found a way outside the law for these people to reclaim their lives. Themes, scenes and dialogues like these keep me watching The Blacklist. Council on Foreign Relations 2017, 'Refugee Crisis in the European Union', Global Conflict Tracker , viewed 10 November 2017, <https://www.cfr.org/interactives/global-conflict-tracker#!/conflict/refugee-crisis-in-the-european-union>. Doherty, B. 2017, 'Australia should bring Manus and Nauru refugees to immediate safety, UN says', The Guardian , viewed 10 November 2017, <https://www.theguardian.com/australia-news/2017/nov/10/australia-should-bring-manus-and-nauru-refugees-to-immediate-safety-un-says>.